As part of the Centers for Disease Control and Prevention initiative Communities Putting Prevention to Work (CPPW), called Healthy Works in San Diego County, the County of San Diego Health and Human Services Agency (HHSA) was awarded funds for projects to reduce risk factors for chronic disease and to promote wellness. HHSA contracted with the University of California San Diego (UCSD) Center for Community Health to oversee nutrition efforts by subcontracting with community-based agencies to conduct the projects. One of these projects was named Fresh Fund. Fresh Fund was originally launched in 2008 as a pilot program to test the effectiveness of incentive programs in bolstering sales at farmers markets, and increasing the consumption of fresh foods among low-income consumers. 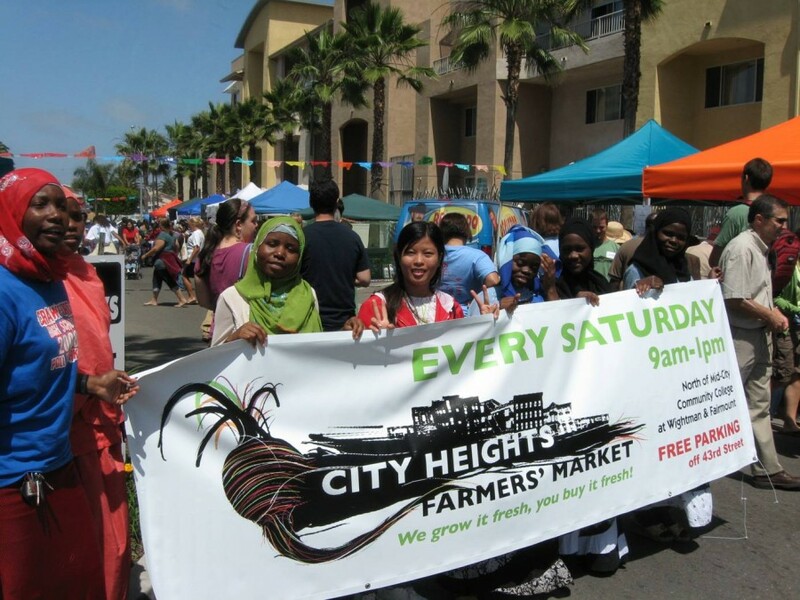 The City Heights Farmers Market became one of only a few programs nationally to “match” the use of SNAP (food stamps), WIC or Senior Farmers market coupons, or cash from SSI/Disability recipients. As part of Healthy Works, the re-energized Fresh Fund, administered for UCSD by the San Diego chapter of the International Rescue Committee (IRC), helped community members double their purchase of fresh produce through $20 in matching funds every month, while also benefiting local farmers and boosting the local economy. By 2011, Fresh Fund had grown to serve more than 8,000 residents at five farmers markets in San Diego County. Revenue generated at these five markets topped $1.6 million, of which approximately $350,000 were incentive dollars furnished by Healthy Works. The expanded Fresh Fund program ended in March 2012 with the end of the CPPW grant, though the IRC continues to offer Fresh Fund every Saturday morning at the City Heights Farmers Market – in the heart of one of San Diego’s most ethnically diverse neighborhoods – and every Thursday afternoon at the Downtown El Cajon Farmers Market. Fresh Fund creates equitable access to healthy food options by supporting the purchase of locally grown fruits and vegetables at farmers markets in San Diego County communities. Farmers markets offering Fresh Fund during CPPW were located in low-income communities facing the greatest food insecurity, with little access to healthy, fresh foods. Fresh Fund is about community engagement in our local food environment. The way we grow, distribute, and eat food affects individual and community health, and has a personal, social, and economic impact. The campaign was valuable and relevant to all county residents, as shopping at local farmers markets for locally grown produce helps local farmers and stimulates the local economy. KUSI covered the kickoff of City Heights' first ever open air farmers' market, which accepts shoppers' WIC and EBT cards to make fruits and vegetables more accessible and available to the community.